Marlene Skrovanek worked as a secretary at IBM at the same time that Elliott LaRose apprenticed as a tool and die maker. Elliott took notice as Marlene walked the hallways past the shop where he worked, and hoped to meet her. Marlene eyed Elliott across the parking lot as she and a friend left work for the day, poking the friend to point Elliott out; a friend who happened to know Elliott, and offered to make the introduction. Calling ahead to Elliott, he turned around… and thus began their courtship. Christmastime 1956, Elliott parked the car at the Binghamton Courthouse, and after the movie, proposed. 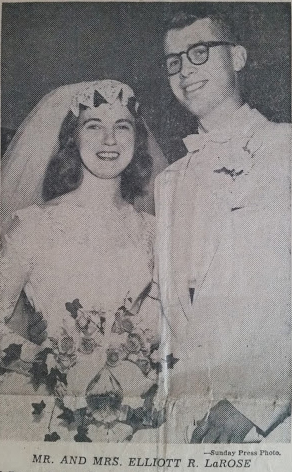 They married June 14, 1958 at St. Cyril and Methodius Church. After a honeymoon to the Poconos, they took an apartment on Seymour St., later moving to Vestal to start their family. 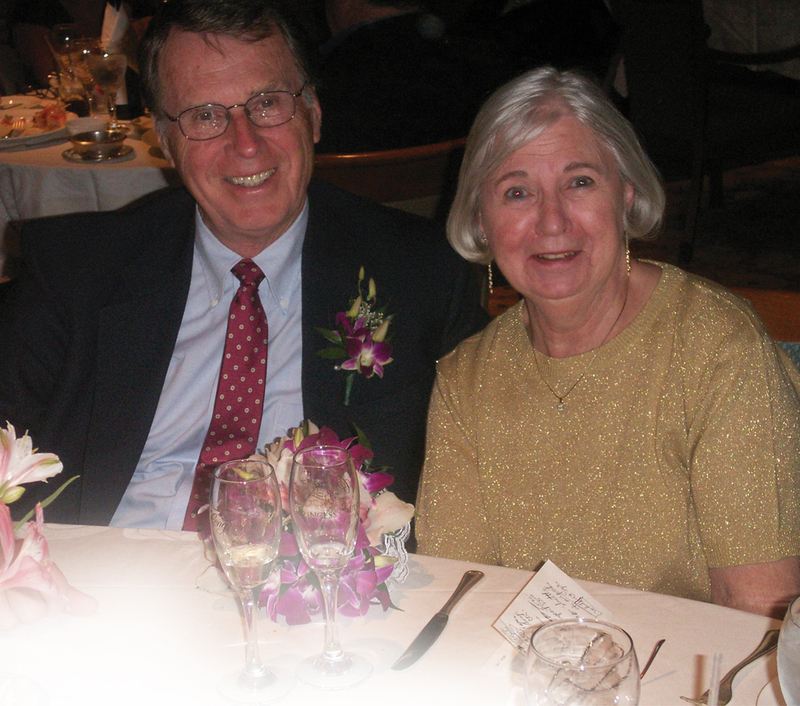 Elliott and Marlene have renewed their vows twice since their marriage in 1958. The first time was ten years ago in celebration of their 50th wedding anniversary on a cruise to Alaska, and then again this June in Florida.